Intro: One runaway goat. 100s of dastardly traps in his way. Can you help him escape? The all-new VR puzzle game… only on Daydream, Guide, slide and catapult the goat to freedom. Avoid an arsenal of traps, from missiles and shrink rays to crazy killer robots. Tilt the controller to knock down monoliths, sabotage traps and create a path to safety. Master 28 diverse levels, including snowy mountains, wild forests and even outer space. Verdict: Danger Goat is an action, puzzle, platformer style game that requires some logic thinking as well as a silly sense of humour. Played in a 3D side view you must rotate the map and try to work out how to get your goat from A – B without being killed. There are at least 2 traps on each level and up to 3 stars to collect. Going from way-point to way-point you need to avoid as many traps as possible, but its sometimes funny just to watch what happens when your goat steps on the traps for the fun death animations, the rocket shooting upwards in my favourite. 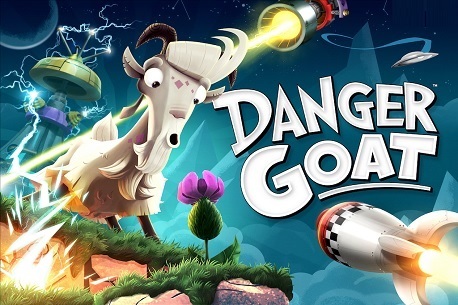 With some great graphics, a nice learning curve that gets harder and harder as you go on and good use of the Daydream controller Danger Goat is great fun to play from start to finish. While you might think you will fly through all the 28 levels it does get a lot harder towards the top of the level-mountain. For a fiver its well worth a download if you plan to try and get 3 stars on all levels. Otherwise, you might fly through them a little quick and feel you are not getting your money’s worth.